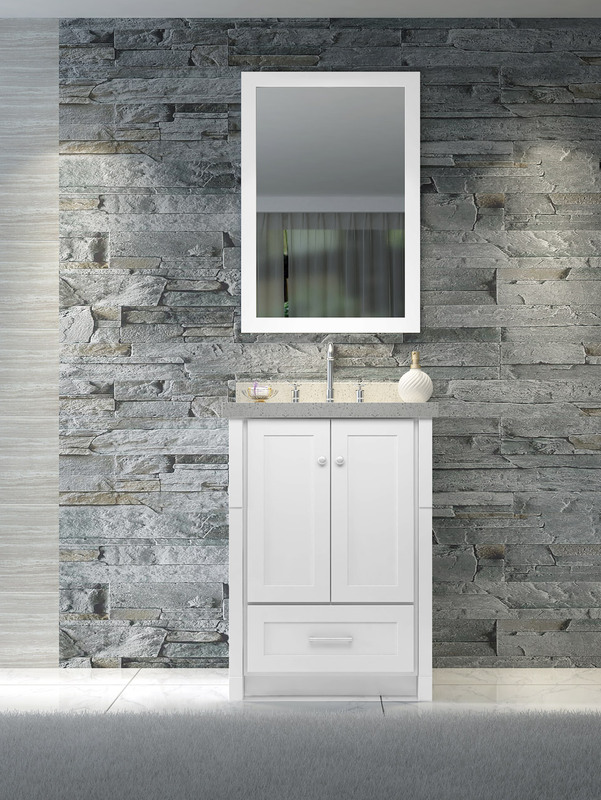 Add a modern elegance to your bathroom décor with the Adams vanity set series from Ariel Bath. The design of the Adams series is available in different colors, including white, black and grey, with white quartz countertops surrounding ceramic, under-mount sinks. The cabinets and drawers in the Adams series are finished with satin nickel hardware that gives the bathroom a contemporary feel.